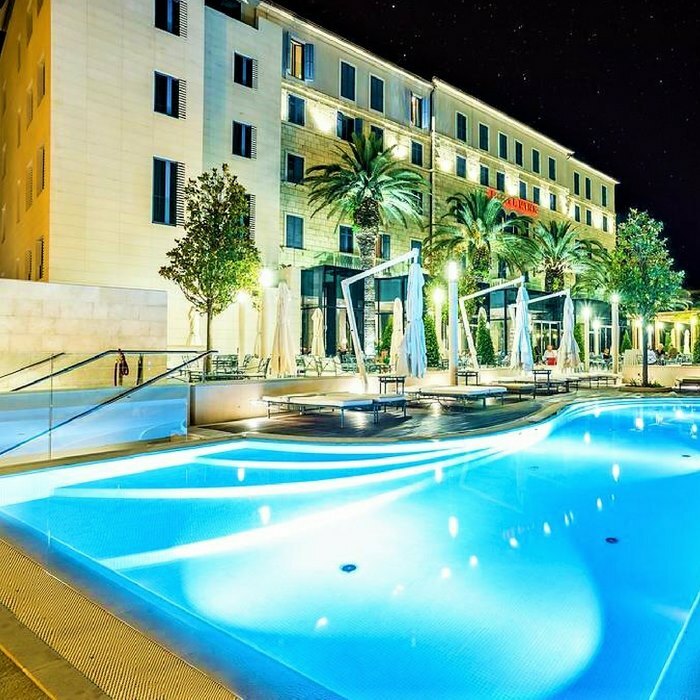 Book your luxury holiday in Croatia at the luxurious 5 star Hotel Park in Split. 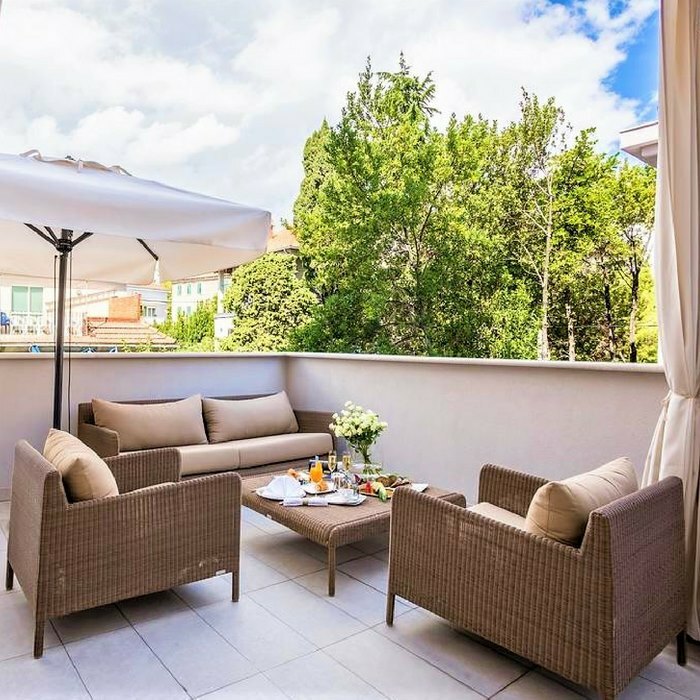 Only a 10-minute walk away from the Split’s main attractions including the Diocletian Palace and Bacvice Beach. 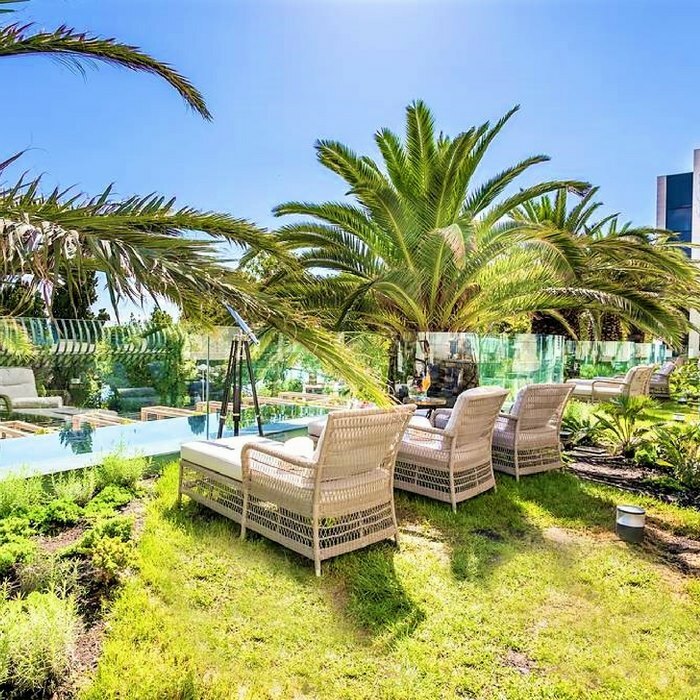 This hotel offers a true first-class accommodation, wellness and spa as well as dining experience. 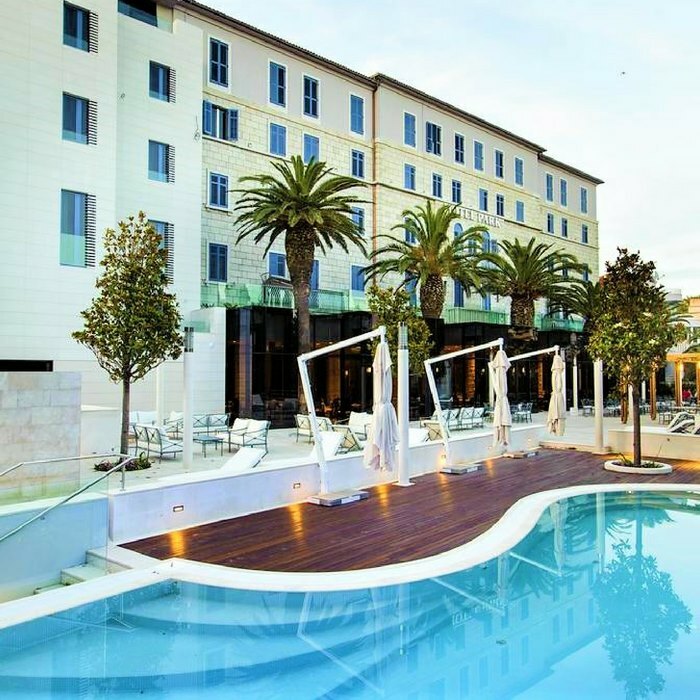 Located in the centre of Split, the Hotel Park provides its guests with a true first-class holiday experience. Both Diocletian’s Palace and popular Bačvice Beach are only a short walk away. 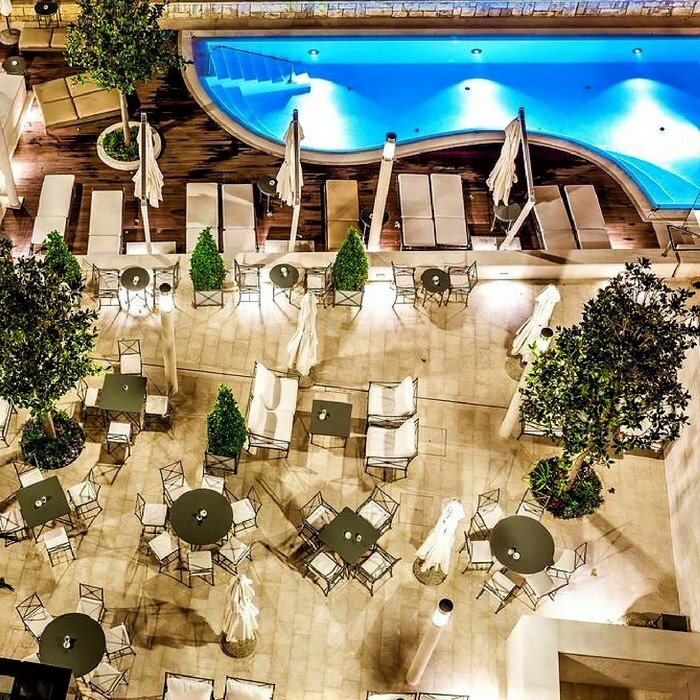 It offers an outdoor pool, a restaurant and a bar in a true Mediterranean environment. 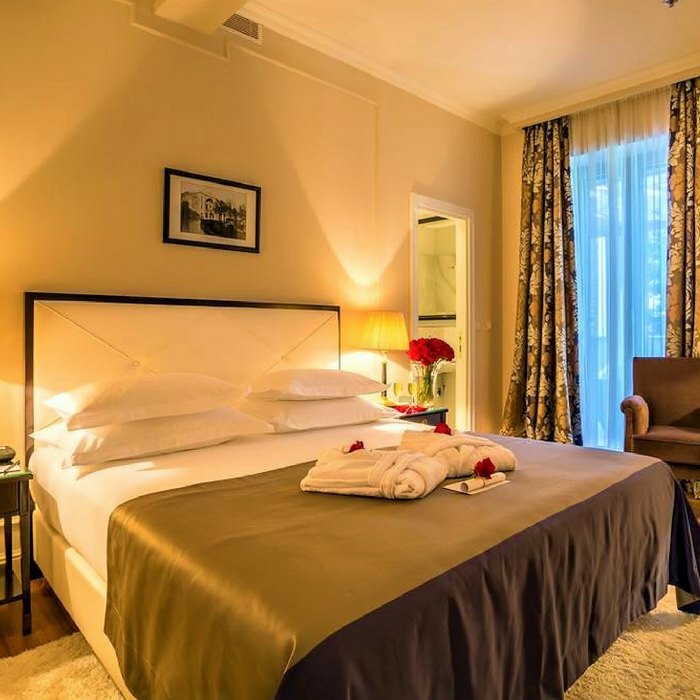 This hotel was first built in 1921, but renovated in 2015, and is now offering 72 comfortable and elegantly furnished rooms, all air-conditioned with a flat screen TV, a safe, a minibar and free Wi-Fi. All bathrooms are spacious with bath/shower combination and equipped with bathrobes, slippers and free toiletries. 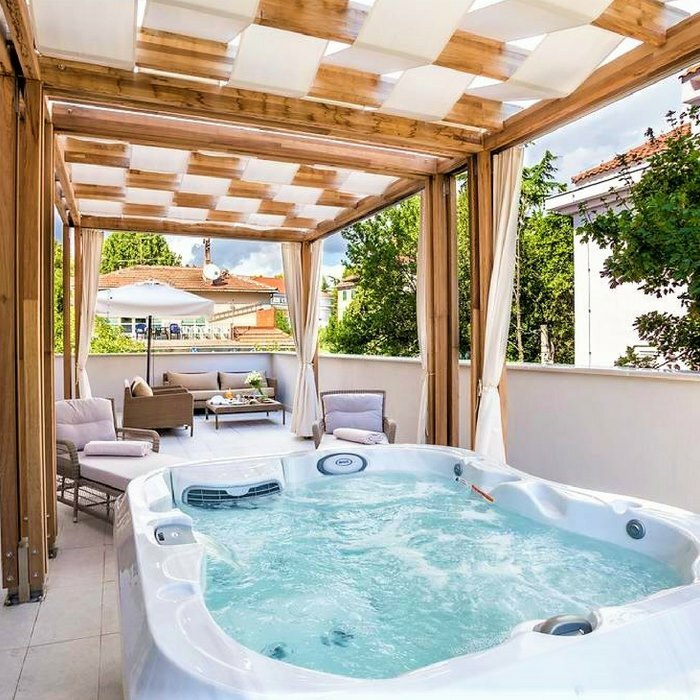 The hotel’s Wellness & Spa centre offers a great variety of services, including a sauna, a private Jacuzzi and a gym. The luxury “Salt Room” for relaxation and halo therapy treatments is also at your disposal. 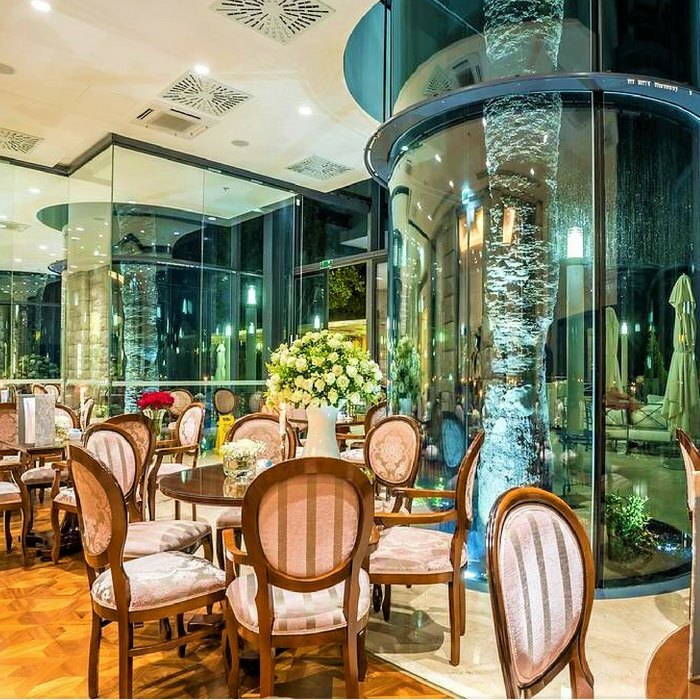 Best local and international specialties and wines are served at Restaurant Split at Hotel Park and will surely exceed all your expectations!